The Muslims and Christians have been fighting for centuries, it has been an on-going battle that has continued through the millennia. During that time period, Muslim pirate Barbarossa wrecked havoc in the Mediterranean, raiding the coasts of France, Italy, and Spain, carrying away thousands of Europeans into slavery. In the process,Muslim Turks had conquered the Byzantine Empire, u were invading Serbia, Hungary, and Bulgaria. Suleiman’s armies surrounded Vienna, Austria, in 1529. For centuries Arab, Turkish, Mughal and Afghan conquerors killed millions of Hindus and Sikhs in India and the East. The Spanish soldier proved to be the most successful champion in defending Christendom. Spain’s King Ferdinand put a halt to the 700-year Muslim occupation of western Europe. Using gold from the New World, Spain was able to push back the Muslim invaders on land and sea. It was during this time, the Europeans began running out of resources to fight the good fight. At the risk of Europe being over run and conquered by the invaders, new sources of revenue had to be found and found quickly. Hearing of vast sources of gold and other valuable resources to the west, their attention naturally turned to discovering ways of tapping into this perceived wealth. The Spanish at that time were one of the major leaders in the world so the task fell to them to explore the new world. The natives of the America’s had never advanced their civilization one iota over the last ten thousand years and thus had none of the modern conveniences or technology the Europeans, Chinese, Tuks or others possessed, so it was just a matter of time before they were conquered by someone, at the time, the Spanish were the most powerful. There is a lesson to be learned here for everyone when we don’t advance our learning and knowledge, sooner or later another culture will overtake us and destroy our way of life. Located in the Atlantic Ocean, just a short distance from both Europe and Africa, lie the Canary Islands. Visited by not only Columbus, but many others as well, and used as a stopping place to replenish supplies before sailing to the New World, the Canary Islands have often played an important part in history. Canary Islands sunset, taken from LaSanta Sport Resort. One of the most unusual and beautiful islands is Lanzarote. Located only about 150 miles from Africa and slightly over 1000 miles from Spain, it is a popular destination for many. With it ‘s spectacular beaches, volcanic landscape and a warm,dry, semi-tropic climate, the island has become known as the island of eternal spring. Timanfaya National Park is a must see for anyone visiting the island. 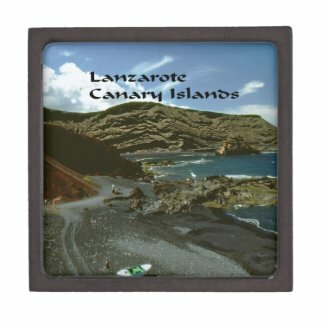 Lanzarote was formed from various volcanic eruptions over the centuries, the latest being in the mid 1700s. As a result much of the island is covered with volcanic lava. Driving through the lava fields on the southern end of the island can be quite an experience. With lave piled higher than a car, it makes one think they are journeying through a Midwestern blizzard of black snow. The road is actually made by clearing away a portion of the lava to create a smooth road, while driving over several feet of volcanic lava. The journey as a result, almost seems mystical. Reaching the top of Fire Mountain, a pleasant surprise awaits. The volcano is still active and spews out a very hot fire , which an enterprising individual has built a restaurant over and around it. As a result, dinner guests are able to choose their choice of beef, chicken, fish or pork and actually grill their dinner over an active volcano.Quite a treat and topic of conversation . Many scenic and photography opportunities abound on the island. The beautiful blue sky, ocean, luxurious white architecture and volcanic scenery abound. Several days can be spent touring this beautiful island, photographing the many wonders of the island,enjoying the unusual dining experiences and enjoying the hospitality of it’s people. He has published several books about the various cultures he has observed and applied what he has learned to solving the many issues facing not only the United States, but the world as well. Common Sense solutions to complex problems. If you love reading about travel, please follow me on Kindle for all my latest updates. To learn more, check out my EBook! Many people visit the Canary Islands every year to enjoy the sunshine, beaches, and many resorts that dot the islands! Very few realize the islands boast many pyramids, which are well worth seeing. Most of the pyramids are located near the town of Guimar on the Island of Tenerife. According to reports, the pyramids were described as just piles of rocks or agricultural terraces made by farmers. Upon observing the pyramids Thor didn’t agree and was so impressed by them, he remained to study them during the last years of his life. Resembling step pyramids found in Egypt, Mexico, and Peru, the question remains, who built them, and when? One of the theories is that they were built by the Guanches, the original inhabitants of The Canary Islands. Although the Guanches were thought to not have the technical abilities needed to build the pyramids, they did mummify their dead as the Egyptians,and they also knew about pyramid design as has been illustrated on their artistic seals known as pintaderas . Although no one knows for sure who built them, most of them are located in areas of the island the Guanches inhabited. Could these ancient inhabitants be the same peoples that immigrated to Egypt and constructed the pyramids in that ancient land? Are they remnants of a great society that possibly existed in this part of the world, before recorded history, and before the ancient Egyptian empire rose from the ashes? An undiscovered paradise lies in the Atlantic Ocean off the coast of Africa. part of the Canary Islands, Lanzarote is a jewel waiting to be discovered, from the beautiful coast line with it ‘s gorgeous cities to the lava fields, and mountains, Lanzarote has much to offer the discerning visitor. While flying I am high above the earth and it’s problems, I realize this makes problems smaller than I am, putting them in the proper perspective. I am bigger and semi-detached from the earth and it’s problems. On the flight over, my seat happened to be over a wing and I noticed a crack on the wing, realizing that it hadn’t gotten any worse, I continued to watch it , I figured there wasn’t any use to say anything, there is no place to land in the middle of the ocean anyway. Just the answer I needed after being up all night! That’s what I get for asking a dumb question. My connecting flight to Lanzarote didn’t leave for six hours, I deducted that the best thing I could do was grab some shut eye on the unoccupied bench in the airport. Using my camera bag for a pillow, and assuming a horizontal positioned I settled in for a long deserved nap. After departing Madrid, I settled in for the three hour flight, we were barely in flight when I noticed we were still in Spain and we were landing, not knowing what the reason was, I started inquiring as to what was going on. However, no one spoke English. Looking out my window I noticed a road sign that stated we were in Seville. The flight attendants kept telling us to depart the plane while offering no explanation. We departed and were loaded onto a bus and taken to the airport where we were told that we would be reboarding shortly. Finally, finding someone who spoke broken English, I was told that we had to refuel the plane. We only left Madrid an hour ago, what do we need fuel for? I assume we had some sort of mechanical problem they didn’t want to tell us about. The Canaries are called Canis Islands or islands of good fortune and are one of the last remnants of the Continent of Atlantis. Lanzarote now rises from the ocean as a paradise yet undiscovered, it’s many fine hotels and resorts shining in the sun. The continuous building & construction lie as evidence of the potential of this sunshine paradise with an almost perfect climate. This island has much to offer, from the lava fields formed by volcanoes that erupted simultaneously in 1730 and flowed until 1736. During which time 12 villages were destroyed and 400 people died, one man stayed behind to record everything in detail. Many souls from Atlantis have found their resting place in Lanzarote, many were trying to escape to Egypt, but they didn’t make it. They were buried deep in the earth to be brought to the surface by the volcanic eruptions of the 1700-1800’s. & laid to rest by the ocean in the volcanic rock. Animal and humans alike, from king to pauper, animals and fishes, even the sacred white dolphin lay at rest in Lanzarote. As Atlantis sank many were trying to escape to Egypt which existed at the same time of Atlantis and had much of the same technology. The pyramids were constructed by the Atlantians and are much older than most people think, the step pyramid was ancient at the time of Atlantis, as was the giant pyramid of Giza, they date back 10’s of thousands of years. On the northwest corner of Lanzarote sits Mirador El Rio a very beautiful spot overlooking the Atlantic ,a very peaceful and serene area, and with the development that is beginning, this is sure to become a vacation destination in the very near future. Cesar Manrique, a very talented architect designed most of the buildings of the island, he is very talented and he has created a masterpiece, blending everything to make it all seem very natural and beautiful. This island has many natural wonders among them are ; Jameoa Del Aqua a natural lava tunnel is very beautiful when you are in the auditorium it feels very sacred, like being in a cathedral. Montanas Del Fuego, the Fire Mountain, is located in the National Park of Timan Faya. The Restaurant El Diablo is located at the top of Fire Mountain and is situated so as to allow one to cook their own meal above a real volcano! While enjoying this meal, I had the opportunity to converse with many Danes, who own a large share of the property on the island. The Danes are intrigued by our huge cities, tall buildings and the vastness of our country. It is like Shangrila to them, they don’t understand how we Americans can find anything interesting in Europe, they feel we have it all. Everything of importance to them is in America. Interesting! Check out my EBook! The main problem with Europe is that everyone speaks a different language, this makes it very hard to communicate and creates divisions between people. That along with different cultures and customs and manners contribute to their seeming indifference or unfriendliness. Once we learn to communicate, they are no different than us. During my visit to the Canary Islands,I had the opportunity to dine at El Diablo, a restaurant located atop an active volcano. While enjoying this meal, I had the opportunity to converse with many Danes, who own a large share of the property on the island. The Danes are intrigued by our huge cities, tall buildings and the vastness of our country. It is like Shangrila to them, they don’t understand how we Americans can find anything interesting in Europe, they feel we have it all. Everything of importance to them is in America. I have encountered this sentiment many times during my travels to different areas of the world. To me, the thing that is interesting about Europe is the smallness of everything, how close everything is, you don’t have to drive 4 hours to get somewhere. The buildings and towns are smaller and changes in scenery are but 10 minutes away, instead of hours. Ever since I’ve been knee-high to a grasshopper I’ve heard about how the rest of the world, especially Europe, hates us, this simply isn’t true! Most Europeans don’t hate us, contrary to popular belief, it is only the far left that doesn’t like us, most Europeans, as well as the rest of the world like and respect us for the good things we have done. La Santa Sport is like an Oasis in the middle of the desert. It could also be some Atlantian resort misplaced in time, with all of it’s health facilities designed to maintain a body in proper physical condition, so that it might contain a properly conditioned mind. The two go hand in hand. The soul or mind is perfect, if we can but understand that and project it to the body. We would have a perfect body. At La Santa it is like being in a different time, is almost like some ancient Greek or Roman Resort with it’s nobility relaxing in the sun beside large pools of ocean water, the people lying in the sun becoming a golden bronze as tho the Gods. La Santa Sport like a Phoenix rising out of the ashes so this Mecca rises out of the ashes of a volcano. What a marvelous sight this oasis must be for the wayfaring seaman, who after having been at sea for many days now sees land for the first time. Lanzarote, the northern most of the Canary Islands, the islands of good fortune is the desert home of this fantastic resort. 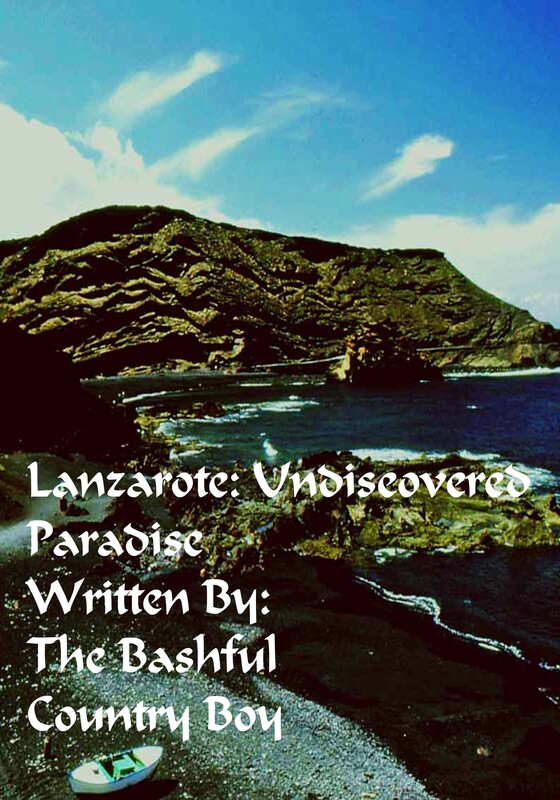 Lanzarote now rises from the ocean as a paradise yet undiscovered it’s many fine hotels and resorts shining in the sun. the continuous building & construction lie as evidence of the potential of this sunshine paradise with an almost perfect climate. The lava fields now lie some 40 ft deep and lend a most beautiful sight in Timan Faya National Park which has been created for the preservation a spectacle of nature located in this beautiful park at the peak of one active volcano. The glass walled restaurant El Diablo where one can observe at a depth of 6 inches lava stones too hot to hold. Dining is a pleasure as chicken, pork chops, & sausage is roasted in barbecue fashion over a pit leading into the volcano.